The artist is always the servant, and is perpetually trying to pay for the gift that has been given to him as if by a miracle. Modern man, however, does not want to make any sacrifice, even though true affirmation of the self can only be expressed in sacrifice. For me the most interesting characters are outwardly static, but inwardly charged by an overriding passion. 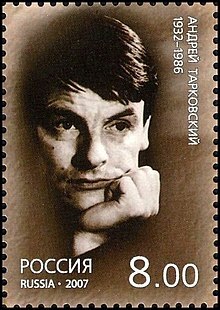 Andrei Arsenyevich Tarkovsky (Russian: Андрей Арсеньевич Тарковский) (4 April 1932 – 29 December 1986) was a Soviet and Russian filmmaker, writer, film editor, film theorist and opera director. We are talking here about the future: about the lives of people in the world without wars, without social oppression, without national inequality, without suppression of human’s abilities. In other word, it is about the future that we all call Communism. We strive to imagine (and show to the viewer) the reality of the 21st century — the life of future humans developing, solving their difficulties and problems but being already on the new levels of cognition and morality. But the foundation of that future is being laid now. We strive to represent the future people as vivid and free, in the unity of their joys and cares, poetry and prose of their life. We are in no way satisfied with the primitive and unconvincing image of "people of the future", which can be observed in some works of literature and cinema. At the same time, we consider our work to be polemical with the many books and movies produced by the bourgeois world, which tend to see the future in an apocalyptic or technocratic way, affirming a sort of disbelief in the strength and capabilities of a human being. An artist needs knowledge and the power of observation only so that he can tell from what he is abstaining, and to be sure that his abstention will not appear artificial or false. I have to say from the outset that not all prose can be transferred to the screen. The allotted function of art is not, as is often assumed, to put across ideas, to propagate thoughts, to serve as an example. The aim of art is to prepare a person for death, to plough and harrow his soul, rendering it capable of turning to good. If there are some who talk the same language as myself, then why should I neglect their interests for the sake of some other group of people who are alien and remote?… If you try to please audiences, uncritically accepting their tastes, it can only mean that you have no respect for them: that you simply want to collect their money. The more hopeless the world in the artist's version, the more clearly perhaps must we see the ideal that stands in opposition — otherwise life becomes impossible! Art symbolises the meaning of our existence. My function is to make whoever sees my films aware of his need to love and to give his love, and aware the beauty is summoning him. Suffering is germane to our existence; indeed, how without it, should we be able to "fly upwards". Perhaps the meaning of all human activity lies in the artistic consciousness, in the pointless and selfless creative act? Perhaps our capacity to create is evidence that we ourselves were created in the image and likeness of God? I find poetic links, the logic of poetry in cinema, extraordinarily pleasing. They seem to me perfectly appropriate to the potential of cinema as the most truthful and poetic of art forms. Certainly I am more at home with them than with traditional theatrical writing which links images through the linear rigid logical development of plot. That sort of fussily correct way of linking events usually involves arbitrarily forcing them into sequence in obedience to some abstract notion of order. And even when this is not so, even when the plot is governed by the characters, one finds that the links which hold it together rest on a facile interpretation of life's complexities. Art is born and takes hold wherever there is a timeless and insatiable longing for the spiritual, for the ideal: that longing which draws people to art. Modern art has taken the wrong turn in abandoning the search for the meaning of existence in order to affirm the value of the individual for his own sake. What purports to be art begins to looks like an eccentric occupation for suspect characters who maintain that any personalised action is of intrinsic value simply as a display of self-will. But in an artistic creation the personality does not assert itself it serves another, higher and communal idea. The artist is always the servant, and is perpetually trying to pay for the gift that has been given to him as if by a miracle. Modern man, however, does not want to make any sacrifice, even though true affirmation of the self can only be expressed in sacrifice. We are gradually forgetting about this, and at the same time, inevitably, losing all sense of human calling. The idea of infinity cannot be expressed in words or even described, but it can be apprehended through art, which makes infinity tangible. The absolute is only attainable through faith and in the creative act. Modern mass culture, aimed at the "consumer", the civilisation of prosthetics, is crippling people's souls, setting up barriers between man and the crucial questions of his existence, his consciousness of himself as a spiritual being. The meaning of religious truth is hope. An artist cannot be partially sincere any more than art can be an approximation of beauty. It is obvious that art cannot teach anyone anything, since in four thousand years humanity has learnt nothing at all. History is not Time; nor is evolution. They are both consequences. Time is a state: the flame in which there lives the salamander of the human soul. What is the essence of the director's work? We could define it as sculpting in time. Just as a sculptor takes a lump of marble, and, inwardly conscious of the features of his finished piece, removes everything that is not a part of it — so the film-maker, from a 'lump of time' made up of an enormous, solid cluster of living facts, cuts off and discards whatever he does not need, leaving only what is to be an element of the finished film, what will prove to be integral to the cinematic image. Relating a person to the whole world: that is the meaning of cinema. Becoming an artist does not merely mean learning something, acquiring professional techniques and methods. Indeed, as someone has said, in order to write well you have to forget the grammar. The whole concept of the avant-garde in art is meaningless. I can see what it means when applied to sport, for instance. But to apply it to art would be to accept the idea of progress in art; and though progress has an obvious place in technology — more perfect machines, capable of carrying out their functions better and more accurately — how can anyone be more advanced in art? How could Thomas Mann be said to be better than Shakespeare? No one component of a film can have any meaning in isolation: it is the film that is the work of art. And we can only talk about its components rather arbitrarily, dividing it up artificially or the sake of theoretical discussion. The man who has stolen in order never to thieve again remains a thief. Nobody who has ever betrayed his principles can have a pure relationship with life. Therefore when a film-maker says he will produce a pot-boiler in order to give himself the strength and the means to make the film of his dreams — that is so much deception, or worse, self-deception. He will never now make his film. [About Mirror] I had the greatest difficulty in explaining to people that there is no hidden, coded meaning in the film, nothing beyond the desire to tell the truth. Often my assurances provoked incredulity and even disappointment. Some people evidently wanted more: they needed arcane symbols, secret meanings. They were not accustomed to the poetics of the cinema image. And I was disappointed in my turn. Such was the reaction of the opposition party in the audience; as for my own colleagues, they launched a bitter attack on me, accusing me of immodesty, of wanting to make a film about myself. Objectivity can only be the author's and therefore subjective, even if he is editing a newsreel. What is Bresson's genre? He doesn't have one. Bresson is Bresson. He is a genre in himself. Antonioni, Fellini, Bergman, Kurosawa, Dovzhenko, Vigo, Mizoguchi, Bunuel — each is identified with himself. The very concept of genre is as cold as the tomb. And is Chaplin — comedy? No: he is Chaplin, pure and simple; a unique phenomenon, never to be repeated. Never try to convey your idea to the audience — it is a thankless and senseless task. Show them life, and they'll find within themselves the means to assess and appreciate it. Above all, I feel that the sounds of this world are so beautiful in themselves that if only we could listen to them properly, cinema would have no need for music at all. If there are some who talk the same language as myself, then why should I neglect their interests for the sake of some other group of people who are alien and remote? They have their own 'gods and idols' and we have nothing in common. ... If you try to please audiences, uncritically accepting their tastes, it can only mean that you have no respect for them: that you simply want to collect their money. A literary work can only be received through symbols, through concepts — for that is what words are; but cinema, like music, allows for utterly direct, emotional, sensuous perception of the work. Everything is conditioned by necessity of one kind or another; and if it were actually possible to find a person in conditions of total freedom, he would be like some deep water fish that had been dragged up to the surface. 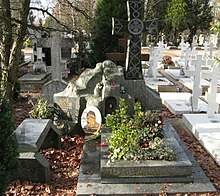 It's curious to reflect that Rublyov worked within the strictures of the canon! And the longer I live in the West the more curious and equivocal freedom seems to me. Freedom to take drugs? To kill? To commit suicide? All of us are infected today with an extraordinary egoism. And that is not freedom; freedom means learning to demand only of oneself, not of life and others, and knowing how to give: sacrifice in the name of love. The Stalker seems to be weak, but essentially it is he who is invincible because of his faith and his will to serve others. One can only be staggered by the hubris of modern artists if we compare them, say, to the humble builders of Chartres Cathedral whose names are not even known. The artist ought to be distinguished by selfless devotion to duty; but we forgot about that a long time ago. Art must must carry man's craving for the ideal, must be an expression of his reaching out towards it; that art must give man hope and faith. And the more hopeless the world in the artist's version, the more clearly perhaps must we see the ideal that stands in opposition — otherwise life becomes impossible! Art symbolises the meaning of our existence. What nobody seems to understand is that love can only be one-sided, that no other love exists, that in any other form it is not love. If it involves less than total giving, it is not love. It is impotent; for the moment it is nothing. It seems to me that the individual today stands at a crossroads, faced with the choice of whether to pursue the existence of blind consumer, subject to the implacable march of new technology and the endless multiplication of material goods, or to seek out a new way that will lead to spiritual responsibility, a way that ultimately might mean not only his personal salvation but also the saving of society at large; in other words, to turn to God. Freedom is inseparable from conscience. And even if it is true that all the ideas developed by the social conciousness are the product of evolution, conscience at least has nothing to do with the historic process. Conscience, both as a sense and as a concept, is a priori immanent in man, and shakes the very foundations of the society that has emerged from our ill-conceived civilisation. "Man is born unto the trouble as the sparks fly upwards." In other words suffering is germane to our existence; indeed, how without it, should we be able to "fly upwards". On being told that his film Stalker should be faster and more dynamic by officials at Goskino. I am only interested in the views of two people: one is called Bresson and one called Bergman. After the Goskino representative explains that he is trying to give the point of view of the audience. I love and admire the filmmaker Tarkovsky and believe him to be one of the greatest of all time. My admiration for Fellini is limitless. But I also feel that Tarkovsky began to make Tarkovsky films and that Fellini began to make Fellini films. Website about Andrei Tarkovsky, Films, Articles, Interviews. This page was last edited on 4 April 2019, at 08:34.